The past 48 hours have been a series of buzzings about a supposed new Castlevania game for the Nintendo 3DS handheld. Website GoNintendo’s rumor mill has been churning out speculation about the supposed handheld title, called Castlevania: Mirror of Fate. According to these rumors, the game will be developed by Castlevania: Lords of Shadow producer Davis Cox, will be 2D, will be a part of the Lords storyline, and will be co-operative play with 2 starting characters. Cox himself, who took the Castlevania reigns starting with Lords from previous long-time producer Koji “IGA” Igarashi, is currently keeping tight lipped on whether or not any of the rumors are true, as he is prodded by obviously curious Castlevania fans on his Twitter. Konami has gone on record saying that there will be a Castlevania reveal at this year’s E3 conference, though most believed it to mean the official drop of a Lords of Shadow 2 game. If rumors prove true, it might be a dual-wield info drop for Castlevania this summer. Cool. The 3DS seems like a good home for Castlevania. 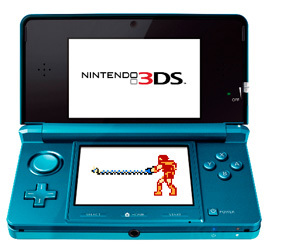 The franchise hasn’t had much success away from Nintendo’s handhelds in years! Anything’s better than another IGA SotN clone. Joe, what my worry is that Cox will rehash a lot of what he did for Lords of Shadow – dull music, Lord of the Rings-style atmosphere, and characters that don’t have a ton of depth to them. I don’t hide my dislike of what he did woth Lords of Shadow, but who knows. Maybe he’s learned an will take a page from past CV games in order to apply what worked in the past to what he’s already done.